BC Place Stadium in downtown Vancouver could soon be called something else entirely, as the facility’s naming rights now are up for sale. The provincial government announced today it has granted crown corporation PavCo the permission to launch a request for proposals to select a naming rights sponsor for the 54,500-seat sports and entertainment venue. “BC Place is a vibrant, world-class facility, and is one of only a few venues of this size and profile in North America yet to capitalize on this valuable type of revenue opportunity,” said PavCo chair Ian Aikenhead in a statement. Several other major publicly-owned stadiums elsewhere in Canada are named after sponsors, including the City of Toronto’s BMO Field and the City of Ottawa’s TD Place Stadium. According to a release, the revenue generated by the naming rights sponsorship will go towards a self-sustaining operating budget for the stadium, with sponsorship revenues helping offset the costs of the facility’s operations and maintenance. Government funding that currently supports the stadium would then be redirected to support other priorities. The provincial government did not provide a ballpark figure for how much it was aiming to raise from a potential naming rights deal. However, this is not the first time PavCo has attempted to sell the naming rights of the facility. 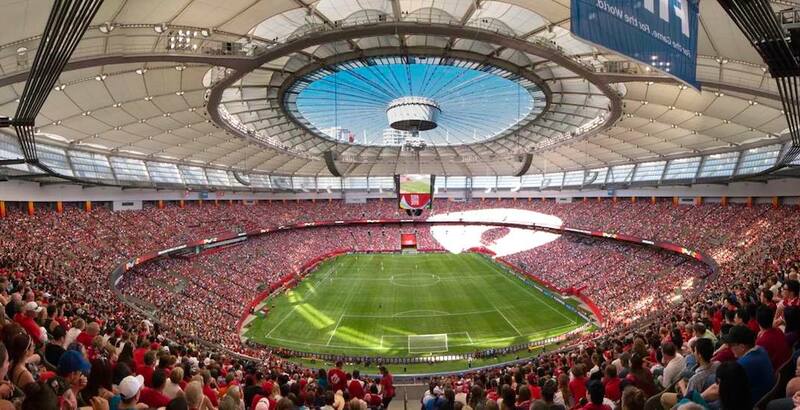 In 2012, after two years of negotiations, a $40-million, 20-year deal with TELUS to rename BC Place Stadium as ‘TELUS Park’ fell apart — after the then-provincial cabinet rejected the stadium’s renaming. The expectation that the naming rights deal would be secured lead TELUS to install a comprehensive high-tech upgrade of the stadium with 800 Wi-Fi access points, 100 new wireless sites, and 1,150 high-definition digital screens. These upgrades by TELUS were made in time for the stadium’s reopening in 2011, when a $565-million stadium retrofit — including a new retractable roof, new seats, and renovated concourse spaces — was completed. The stadium has been known as ‘BC Place’ since its opening in 1983. 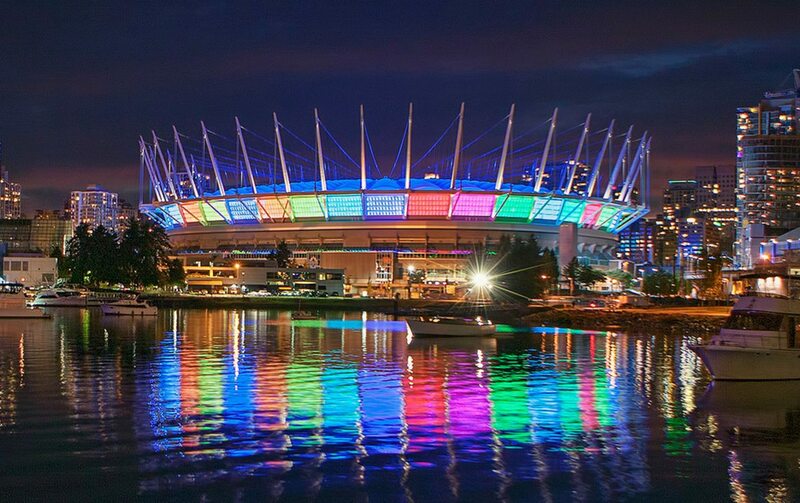 Aside from being the home field of both the CFL BC Lions and the MLS Vancouver Whitecaps, it has held some of Canada’s largest events, including the ceremonies of Expo ’86 and the 2010 Olympic Winter Games and the championship final of the 2015 FIFA Women’s World Cup. BC Place Stadium is also frequently used for large consumer shows, exhibitions, concerts, and special events. Since 2016, it has served as a venue for the annual World Rugby Sevens Series. Over one million people attend events at the stadium each year. PavCo also operates the Vancouver Convention Centre, and its portfolio previously included Bridge Studios, up until 2007 when the provincial government decided to sell the publicly-built film and television production studio in Burnaby to a developer.